We had the privilege of being one of the few people in Northern California to have the hard hitting documentary ‘Vaxxed’ show in our community. A shout out to The Pageant Theatre is in order. They serve organic popcorn with brewer’s yeast. There is a war between the vaccine industry and the parents of young children. Period. It’s brutal and real and the victims aren’t just the children but the parents of these damaged children. The agenda is this: use any sinister propaganda tactic possible to prey on the families of the very young, including mandating compulsory vaccinations. Then laugh to the tune of billions of dollars all the way to the bank. Destroy the documents, cover-up the stories, sensor the studies, and black list and harass any individual who would dare rise up against the juggernaut known as the CDC and it’s collusive pharmaceutical bed fellows. The MMR vaccine causes autism, especially in Afro-American males. Enter Dr. Andrew Wakefield who was a whistleblower gastroenterologist who exposed a link between the MMR vaccine and autism as far back as 1998 and was black balled for his efforts. Wakefield wasn’t even proposing the abolition of vaccines. He simply endorsed an idea to make the vaccine a single dose each of measles, mumps and rubella instead of appearing all three at once in the shot which is the MMR vaccine. In response, the industry removed the single dose option. Simply, they made it unavailable. Why would they do that? What’s the agenda here? Why would the CDC allow the distribution and injection of poisonous vaccines when they know damn well that they severely damage these children? Is it just the money? Can’t they still make money off of vaccines that don’t maim the recipient? At one point Dr. Stephanie Seneff makes the statement that at this rate, 1 in 2 children and 80% of all males will have autism by the year 2032. This isn’t just evil, greedy scientists trying to make a buck. This is an end-game plan to cull the population into some other unknown scenario that can only be left to the imagination. Maybe something similar to the more popular dystopian movies or novels. There isn’t much resistance in a population that is this broken. And what made it more real was the conversation with a woman sitting next to us. She has a grandson and three other family members diagnosed with autism. That’s a total of four in her immediate family. The movie house was packed and I bet every person in there had a story. If you have a story, I encourage you to share it with your doctors. Share it with other parents, especially parents of newborns and babies. Share it with anyone who will listen. You might save a child’s life. It’s stories like yours and the one’s in Vaxxed that will change the trajectory of this dooms day scenario we’re headed for. If there is a God, if what comes around goes around and there is such a thing as karma, why is it that so many people in positions of authority seem to get away with doing so much crime without seaming to suffer any consequence? To begin to answer this question keep in mind the most powerful, often the most utilized mind control techniques are designed to limit what the individual deems as possible. So let’s pull back that veil. Ancient mystics knew and modern theories postulate that the true nature of the physical ‘reality’ we live in is not physical at all. It is a digital holographic wave form pattern. 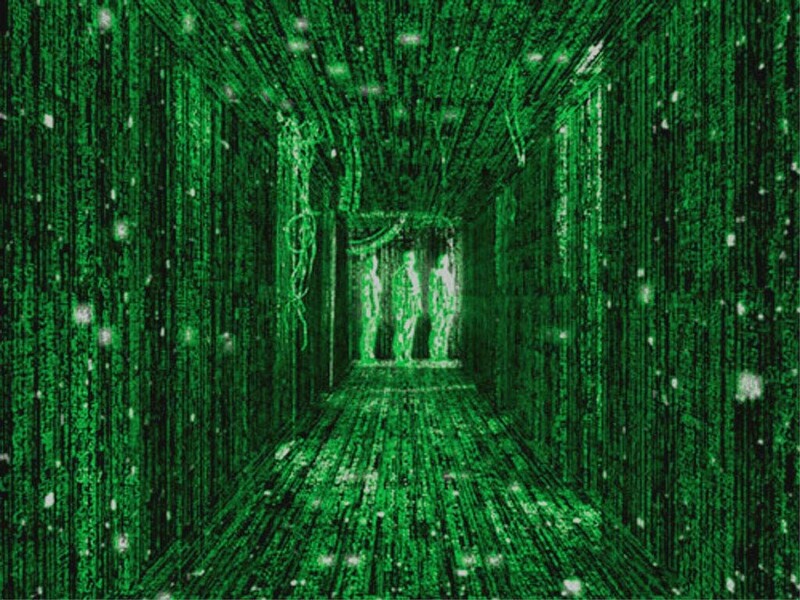 Just like when Neo could see all those little green numbers moving up and down his field of vision in The Matrix, the deep truth is we live in a computer simulation. I’ll explain how as this article evolves. Matter is not solid. 99.99999% of an atom is empty space. And the .11111% that is left is energy; electrons spinning around a nucleus that pops in and out of the ‘physical’ domain. Studies of this are pronounced in the Schrodinger equation and the quantum theory of superposition. Since matter is not solid you might ask how it is that the parameters exist to dictate the laws of our existence. Now we get into another fundamental: Perception is a collapsable wave of potentia. To arrive at a level of awareness the human mind relies on a range of senses that effectively ‘download’ the environment. If what is gauged is only measured by what the body can sense then the feedback is limited to what the body can process. This is important to understand; the human eye is only able to see about 0.005% of the electromagnetic spectrum that exists in the universe. This understanding can easily be reflected on in the technology of our age. Look at the graph above and recognize that we don’t actually ‘see’ the wave patterns that are produced by radio transmitters or Wi-Fi broadband. Yet we can tune them in properly with special equipment such as radio receivers and computers. Your brain, specifically the left hemisphere is calibrated to process the signal that is being transmitted by an electromagnetic field swirling around us. Think of it as your hard drive, just as with the computer analogy. There are vibrationally encoded frequencies in this field that mainstream science has wanted to call ‘dark matter’. Brilliant scientists like Nikola Tesla and Wilhelm Reich knew how to harness this phenomenon and do incredible things with it. Simply stated, these are the electrical waveform patterns that are often termed the aether. Reich coined it Orgone energy. The pattern is then digitally downloaded into a format processed by the left brain which decodes the data into the holographic images you have before you. This is much like when your computer downloads a file from the internet. The technology now exists to further synthesize this process as with the Elvis hologram singing alongside Celine Dion. The ‘Cosmic Internet’ is the field of all imaginable potentia (and even some unimaginable) that exists in a state before it is processed into the physical realm. So how is it determined what is ‘downloaded’ out of all the possibilities? It depends on the signal being transmitted and the hardware capable of downloading it. Just like your radio can only tune into a certain band of frequencies, the scope of what a person is able to download is determined by many factors such as health, nutrition, environment, trauma, genetics and conditioning. Some of this can be summarized by the study of epigenetics. After a time these conditions get hardwired into the brain. The behaviors and reactions become so automatic that they function independent of conscious thought, now directing life from the subconscious. We take it to an even deeper level of truth with this statement: All potentiality exists within our selves at every moment, it’s just outside of our perception to see it. DNA is the molecular ‘memory chip’ that encodes the genetic structure dictating the development and function of all life. RNA plays the role of coding, decoding and regulating the expressions of these genes. Think of DNA as the software program and the RNA as the program code, periodically updating the software, or in some cases having a virus corrupt it. Together they create the you that is YOU, physically (holographically). The programmed cell structures communicate to each other through a coded language. If the individual only perceives reality through the limited awareness of the physical sensory perception data base, then likewise the consciousness of such an individual will reflect only that. Simply put, the physical world would be all that is known. This summation is basic but my purpose is to promote a premise. 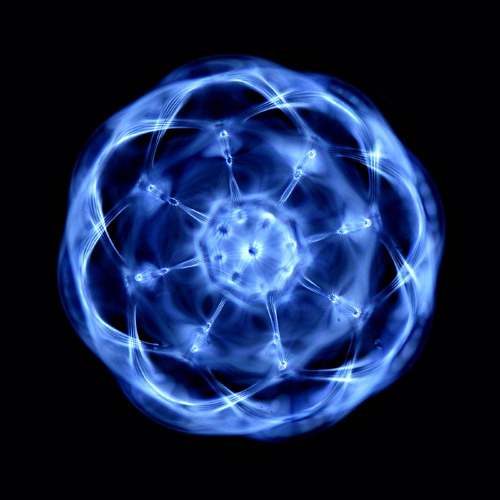 When used in communion with the Natural Laws of the universe, this flow of energy from the aether would enhance our experiences and perpetuate our existence in the prima materia world. Understanding these fundamentals gives one the power of a shaman or an alchemist. Leonardo da Vinci knew this and explored the mathematical code in the physiology of a human being. Here again we find ancient knowledge of mathematical codes in their relationship with words and musical notes. Jay Kennedy, a historian and philosopher of science at the University of Manchester believes Plato was organizing his texts according to a 12-note musical scale, attributed to Pythagoras. Read about it in this article in The Sydney Morning Herald. Ancient Chinese mystics developed a physiognomical system called Feng Shui that recognizes an invisible force permeating all of existence. This force is influenced by the architectural lay-out in all forms of our environment. Western culture seemingly operates oblivious to this knowledge…or does it? 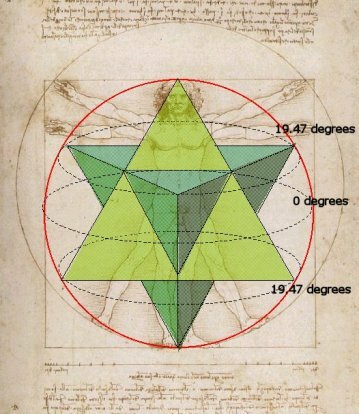 In this article by Mario van der Meulen you can read about the tie-in between da Vinci, Feng Shui and the Golden Ratio. 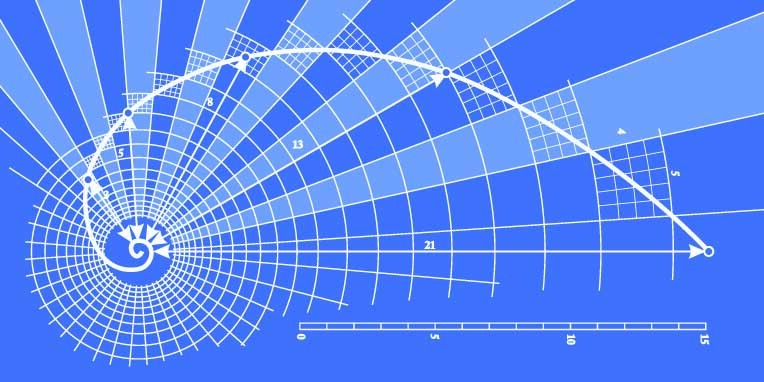 The Golden Ratio is a mathematical equation commonly used in the West to arrive at a place of proportional balance. It’s power is recognized and utilized by corporations and advertising wizards. And maybe most importantly we have the Schumann Resonance, a study of the Earth’s electromagnetic frequency. In these studies it has been learned that the Earth has a natural frequency of 7.83 Hz. We are left to ponder the effect of technology on the human body as well as the planet. Likely, these dissonant frequency fields of charged electromagnetic radiation are the culprit behind many issues such as chronic fatigue, headaches, insomnia, digestive disorders, learning disabilities, autoimmune diseases and cancer. These issues have been brought up with microwave ovens, x-ray machines, smart meters (oxymoron) and high-voltage power lines. Think about that the next time you hold a cell phone to your head. I’m stating that none of this is by accident. I’ll leave it here for you here to contemplate what I’ve addressed. The next logical extension of this material is how all of this ties together: The effects of our environment, our technology, our thoughts and how this ultimately programs the source code of the Matrix. 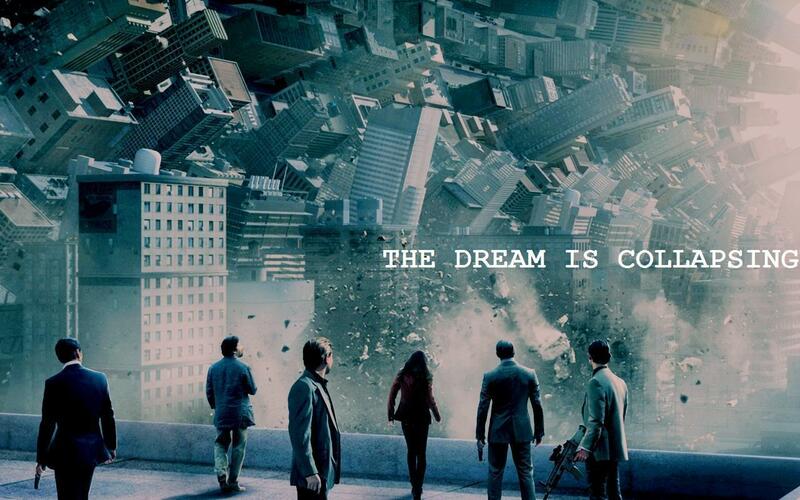 In Part 2 we will explore further the forces behind the programmed world we perceive.